Formed out of a friendship between Jazz Rodríguez Bueno and Carla Pérez Vas, they picked up a rhythm section with Antonio Postius and Leia Rodríguez. Despite having only played roughly two dozen shows, they display a composure and tightness well beyond their years. “Otitis” is another keeper, capturing their exuberance perfectly in a locomotive push/pull tangle of guitars, a wise choice for a single. “Marshall” and “Jack” represent the “boys on my shitlist” tracks that could easily become their stock in trade, but by final cut “Silver Gold” it’s clear that this is a band with much more on their plate. It will be fascinating to watch their development. 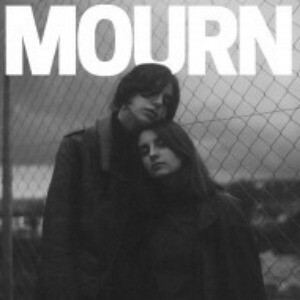 Mostly still in school, Mourn is picking up some heavy attention en route to their first run of U.S. dates, including a slot in this summers Pitchfork Festival.